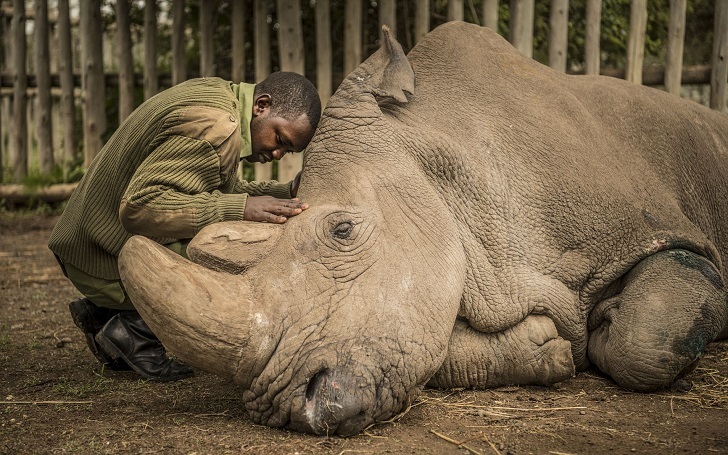 The world's last male northern white rhino named Sudan has died at the age of 45 resulting in the existence of only two females, left to save the subspecies from extinction, multiple sources have confirmed. Sudan had reportedly been in poor health for last few days and was being treated for multiple infections and age-related issues. On Tuesday, the conservation group WildAid announced that a veterinary team decided to put the rhinoceros to death humanely after his condition deteriorated significantly. 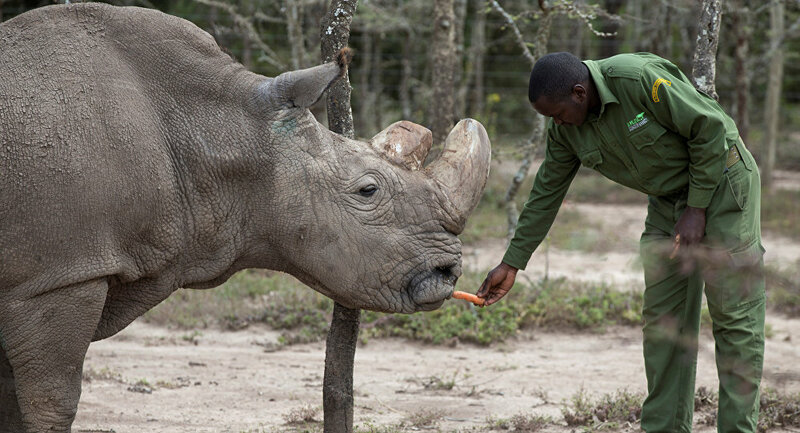 Sudan had been living in the Ol Pejeta Conservancy in Kenya and in the days leading up to his death, he was surrounded by armed guards. As per the report, Researchers have saved some of the late rhino's genetic material in the hopes of successfully artificially inseminating one of the two females left. Rhinos are targeted by poachers, fueled by the belief in Asia that their horns are used to cure various ailments. According to the experts, rhino's horn is becoming more lucrative than drugs.